Being news, opinion, gossip and partisan analysis, largely of Scottish politics, based on the experience of working for Robin Harper and Patrick Harvie, the Green MSPs. The P&J reports a threat to one of Scotland's finest brewers, perhaps even the best we have - BrewDog, based in Fraserburgh. The Portman Group, it seems, have ants in their pants about their labels, especially for three beers called Punk IPA, Hop Rocker and Rip Tide. 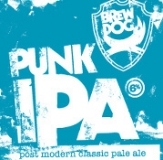 These are great beers - the Punk IPA in particular is worthy competition for the best international brews like Bohemia, Krušovice or Sierra Nevada - and the company is a true Scottish success story. Portman are bothered about the marketing shtick on the side, which frankly is no more intimidating than the lion on a Belhaven label. The fact that the drinks industry itself has decided to attack a small and inventive brewer is a disgrace - is it possible that some of our "cooking lager" manufacturers felt threatened by the success of something that actually tastes nice? I just hope they don't notice that BrewDog do a beer called Speedball, named after the dodgy drug combo which did for John Belushi. Nothing to see here.. If I've forgotten to link to you, let me know. If I don't want to link to your blog I'll pretend I never got your email. Along with Jeff (formerly SNP Tactical Voting) and Malc (formerly In The Burgh), I now co-edit Better Nation, a group blog. Stuff will still appear here, but more will be there. I also intermittently blog on the Scotsman's otherwise excellent Steamie. If you want a stream of pointless and largely political observations I'm on Twitter too. This page was published on November 14, 2008 3:21 PM. Holyrood backs £100m Green bid for warm homes. was the previous entry in this blog. Whose marriages would Jesus ban? is the next entry in this blog. Contact me by email: james at twodoctors dot org. Please do not contact me if you have some product you want me to promote unless it's an electric car and you've got a free sample. My blog runs on Movable Type Open Source, which is quite good, but dammit it's hard to figure out.